Use this kit to attach any TWO DS strobes to an Ikelite housing with electrical bulkhead. 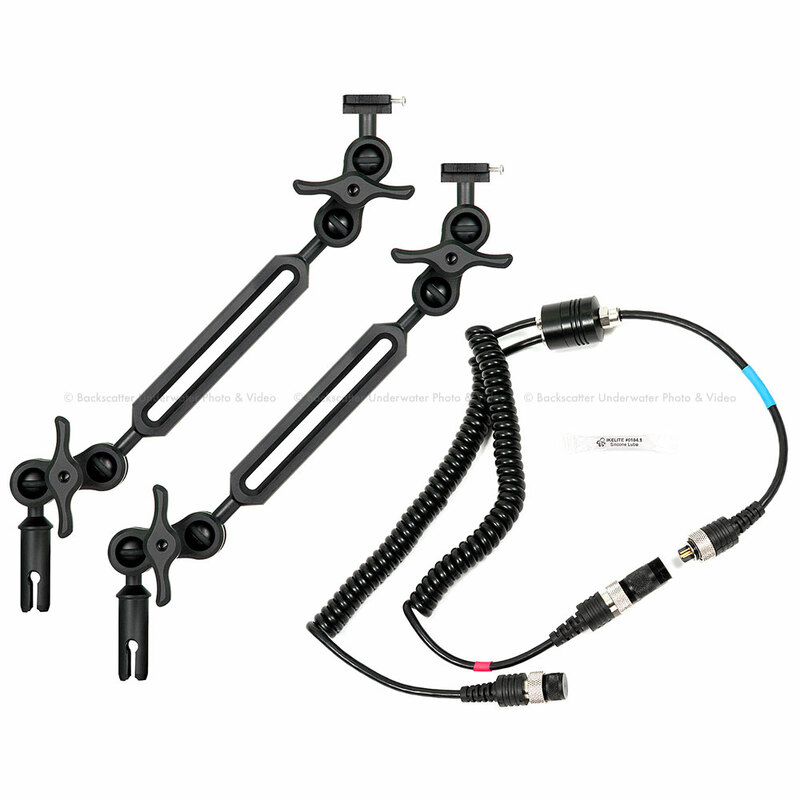 Both strobes are fired via a single housing bulkhead using this durable "Y" configuration cord. Provides TTL operation when used with a compatible Ikelite TTL system. Strobes not included. Each arm is composed of a strobe mount for Ikelite DS50, DS51, DS125, DS160 or DS161 strobe, two clamps, one 7-inch (18 cm) extension, and mount to Quick Release Handle. Overall extended length of the arm is approximately 15 inches (38 cm). A great start to any system, providing flexibility to shoot both close-up and portrait work. Additional extensions and clamps can be added for wide angle work. Ikelite's Ball Arm System Mark II provides opportunities to mount an additional lightweight accessory almost anywhere along the length of an arm.